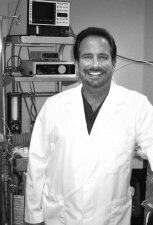 Dr. Kevin Mahoney received his Bachelors Degree from Gannon University and his Doctorate from the University of Pittsburgh School of Dental Medicine. He received his anesthesiology training at the Long Island Jewish Medical Center and Schneider's Children's Hospital in New York. In addition, he is active academically; presenting and published in the areas of anesthesiology, anxiety and pain control.